If you’ve ever admired a wrought iron fence, you see how it can add beauty to a property. Advances in manufacturing technology have made it possible to create aluminum fences that mimic wrought iron but with less maintenance. Not only are these fences attractive, but they do a great job of keeping your property secure. In fact, a fence should serve both purposes – beautifying your property while protecting it. Learn how a durable, low-maintenance aluminum fence can enhance your home. Manufacturers use tubes of aluminum to create either preassembled panels or pieces for making a custom fence. The pieces consist of the pickets, toppers, posts, and screws. While someone with experience in building fences might be able to discern the aluminum fencing is constructed differently from wrought iron, aluminum fences look mostly indistinguishable. 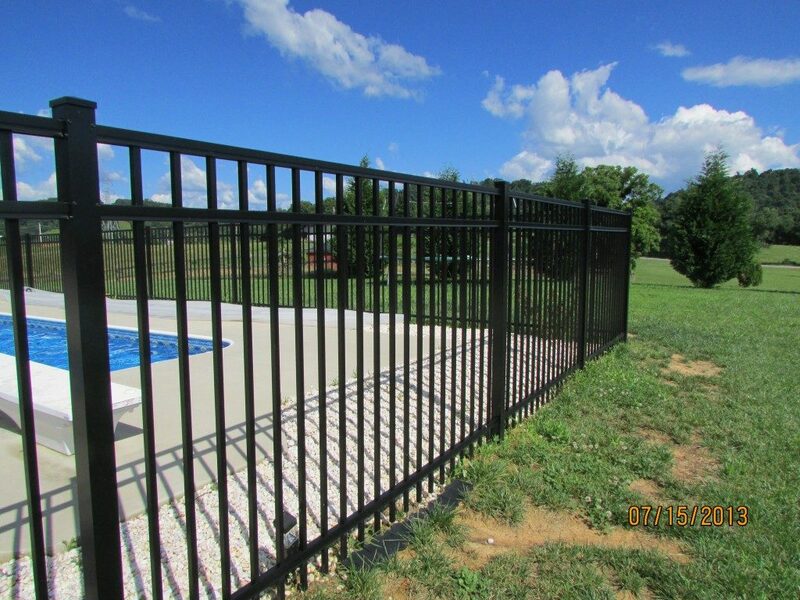 Aluminum fencing has two big advantages over wrought iron. For one, it’s not as heavy. Secondly, aluminum doesn’t rust like wrought iron can. In the rare instance that rust does appear, you can just brush it off. If you want to ensure rust doesn’t appear again, you can paint the fence with a rust-inhibiting primer and fresh paint, but it’s not necessary. The only maintenance required for your steel fence is to hose it off periodically. You may also inspect the fencing on a yearly basis just to ensure all the parts are intact. How Can You Choose a Fence Style? There’s not quite as much ornamentation available with aluminum fencing as with wrought iron – if you fancy an elaborate style, you might consider the latter. However, you still have several options in style for aluminum. One of the big choices you’ll make is in the topper. Aluminum toppers comes in two basic styles – spear or flat. Spear tops feature the traditional pointed finials. Flat tops cap off the fencing with a double rail. You can choose alternating pickets with spears or all pickets between the two rails. Besides aesthetics, utility will drive your selection. If security is a main issue, opt for one of the spear tops. Otherwise, try to match the style to your house. Contemporary houses look good with modern double-rail styles, while traditional houses look good with traditional designs with spears. While you don’t see as many arcs in aluminum fencing, you can still choose arched gates. Likewise, it’s possible to customize some of the ornamentation with color. How Do You Match the Aluminum Fence Color to Your Property? Manufacturers use powder-coating technology to fuse color to the tubes of aluminum. As with wrought iron, the traditional color is black. However, the fencing also comes in a range of naturalistic colors such as green, brown, and taupe. White, silver, bronze, and gold are also available. Additionally, you can paint the fence if desired. If you have a traditional house, you may want to go classic matte black. Conversely, you may choose a fence color that blends with the background so the landscaping takes center stage. For an historical home, you may consider adding gold or bronze finials or other ornamentation for accenting. Contemporary and ranch style houses often look good with one of the metallic or naturalistic colors of aluminum fencing. Just try to stay in the same temperature. For instance, if your house’s façade features warm undertones, choose fencing with the same warmth. For modern houses, consider either glossy black or one of the metallic finishes. Glossy black makes a bold geometric outline, which is characteristic of the style. Metallic finishes speak to the industrial nature of the style. Fence to peruse our gallery of aluminum fences.